Adolescent Girls at Risk focuses on a fieldwork that employed measures and programs designed to help girls in their transformation to adolescence. The book first ponders on the theoretical background and plan of the project, including fieldwork aims and methods, research aims and methods, and at risk factors. 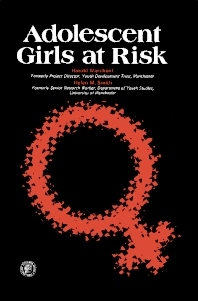 The text then examines the girls who are the subjects of the study, as well as the start of fieldwork. The book explores the kind of bond and relationship that developed among the girls, particularly the strategies that social workers have employed in assisting them to recognize and achieve personally satisfying relationship with adults, peers, and authority. The manuscript also takes a look at the termination of the project work and research analysis of the fieldwork. The book is a dependable source of information for social workers and researchers interested in studying the transformation of girls to adolescence.